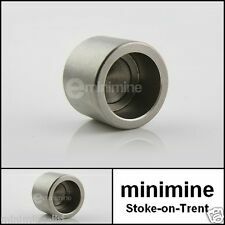 All new brake pipe ends will be used. PIPE SETS ARE ONLY SUITABLE FOR VEHICLES WITH THE STANDARD FACTORY SETUP. I AM UNAVAILABLE TO PROCESS ORDERS FROM THE 14TH SEPTEMBER 2014 UNTIL THE 5TH OCTOBER 2014. REMY DC81620. Brake Caliper Type Brake Caliper (4 pistons); Fixed Caliper (4 pistons). Function Brake Caliper. BUDWEG CALIPER 341620. 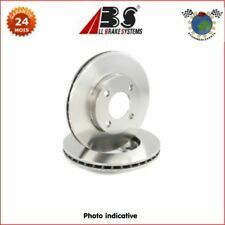 Brake Disc Thickness 20.7 mm. Brake System Lockheed. 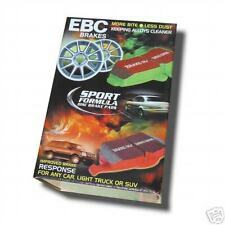 Brake ENGINEERING CA376. Austin Rover and MG Metro 1.0 1.3 1980 - 1990 Rear Wheel Cylinder Repair Kit Lockheed LK11511 Pictures show what it fits PLEASE CHECK THIS IS CORRECT FOR YOUR VEHICLE AS THERE ARE VARIOUS TYPES FITTED. Please check the part number to make sure it is the correct part for your vehicle. New Old Stock Packaging is tatty. FREE UK POSTAGE. PART NUMBER LOCKHEAD TD 161 W. Fitting Position: Rear Axle. Fitting Position: Left. Fitting Position: Right. MGB 1976 - 1980. MG Midget 1500 1974 - 1980. HAZARD FLASHER. Location: 2L. 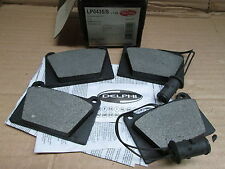 PART NUMBER DELPHI LP 0435. LOCATION (BRAKE 1 ). to MY: 09.84, Fitting Position: Front Axle. Fitting Position: Front Axle. from MY: 10.87, to MY: 12.89, Fitting Position: Front Axle. to MY: 01.90, Fitting Position: Front Axle. Each Goodridge ABS brake line kit is manufactured using Stainless Steel ABS blocks, Stainless Steel fittings and PTFE hose wrapped in a Stainless-Steel braid with a PVC outer to stop dirt ingress. 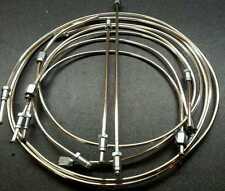 This Goodridge Stainless Steel Brake hose kitcontains 6 hoses. BRAKE PAD FIXING KIT - LPK76. 2 types.Look at picture.other type looks different. SUCH AS COLOUR FADE OR SMALL SCRATCHES. 50 years of experience to help and guide you through your enquiry. serving the public for over 50 years. With a great range of car care and accessories to see you through all seasons. 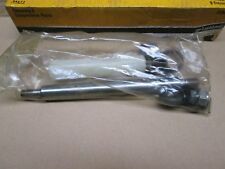 B RAND NEW BOXED : 2 X REAR AXLE BRAKE WHEEL CYLINDER SET ( LEFT RIGHT ). Full Vehicle Details. NOUS SAVONS QUE LES VIEUX BOULONS TENANT LES ÉTRIERS SONT TRÈS SOUVENT ENDOMMAGÉS. REFITING QU'EUX FERAIENT PAS DANS CET ESPRIT, NOUS AVONS AJOUTÉ DES NOUVEAUX. Nous avons des centaines NEUFS, D’OCCASION ET Remis à neuf pièces prêtes à l’expédition. 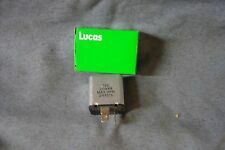 AUSTIN, ROVER, MG, LDV, FORD, LAND ROVER, RANGE ROVER, VAUXHALL. Split Pins x4. BRAKE PAD FIXING PINS - 90x4. 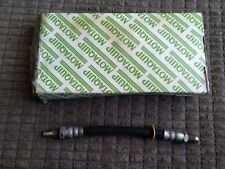 Austin Rover MG Metro Front Brake Hose . Motaquip VBH397 Please check the part number to make sure it is the correct part for your vehicle. New Old Stock. Box is tatty! FREE UK POSTAGE. Austin Rover MG Metro LH Rear Brake Hose . Motaquip VBH654 Please check the part number to make sure it is the correct part for your vehicle. New Old Stock. Box is tatty! FREE UK POSTAGE. 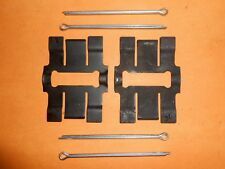 QUALITY JURID FRONT BRAKE PAD SET TO FIT THE FOLLOWING. THESE ARE QUALITY JURID PADS AND NOT CHEAP IMPORTS. WITH LOCKHEED BRAKES. THE COMPATIBILITY IS NOT ALWAYS 100% CORRECT. THE PRICE IS FOR ONE AS THE PICTURE. CLG for Clear with Black Text, -CB for Carboline, -CL for Clear, -EB for Electric Blue. Each Goodridge ABS brake line kit is manufactured using Stainless Steel ABS blocks, Stainless Steel fittings and PTFE hose wrapped in a Stainless-Steel braid with a PVC outer to stop dirt ingress. Serving the public for over 50 years. SUCH AS COLOUR FADE OR SMALL SCRATCHES. such as oil and coolant, antifreeze, roof boxes, roof bars, trailers and much more. Each Goodridge ABS brake line kit is manufactured using Stainless Steel ABS blocks, Stainless Steel fittings and PTFE hose wrapped in a Stainless-Steel braid with a PVC outer to stop dirt ingress. This Goodridge Zinc Plated Brake hose kitcontains 6 hoses. ROVER MGF MG TF 115 120 135 INC VVC CONVERTIBLE MODELS 1995 - 2002. 1 X SET (4) REAR BRAKE PADS. 1 X SET (4) FRONT BRAKE PADS. WE ALSO DO OTHER BRAKE PARTS, DISCS, BEARINGS, SHOES, CYLINDERS, CABLES, FOR THIS VEHICLE -. WE ARE NOT JUST A NEW USED AND PARTS SUPPLIER FOR THE MGF / MG TF MODELS. REFITING THEM WOULD NOT BE ADVISED SO WITH THIS IN MIND WE HAVE ADDED NEW ONES. We have hundreds NEW, USED AND REFURBISHED parts ready for dispatch.